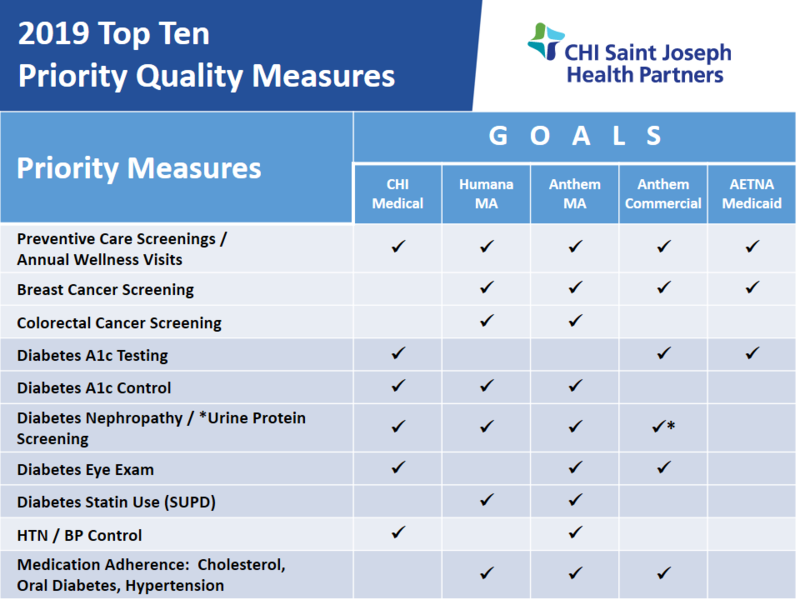 CHI Saint Joseph Health Partners is one of the largest, most successful provider-based, all payer care management companies in the Commonwealth. We've been recognized by America's Physician Group (formerly CAPG) as an "Elite" 5 Star accountable care organization, as well as Modern Healthcare's Top 15 and Becker's Top 100 ACO's. Participate in gain share contracts with multiple payers. Access tools and data to increase your quality payments. Use population health/care management services for your patients. Medical staff membership in good standing. A process to submit claims and clinical data to facilitate care management. For more information or to join, simply call 844.804.8725 or complete the online form. A CHI Saint Joseph Health Partners representative will contact you soon. To learn who is a part of the CHI Saint Joseph Health Partners network, please visit Find a Physician.